Based on the pioneering work of archaeocryptographer Carl P. Munck, I have found significant 'matrix-connections' at Gettysburg, Pennsylvania, using the official USGS Topographical Map 7.5-minute Series, Gettysburg (PA) Quadrangle. Three of the four sites discussed here are relatively close-by to one another, on the historic American 'Civil War' battlefield area. This is very appropriate, because these three particular sites have . . . as you will see . . . a direct connection to Mars . . . the 'god of war' and/or the 'planet of war'. I call these three sites at this historic battlefield . . . 'The Gettysburg Trinity'. Round Top is a large steep oval-shaped hill, composed mainly of granite, that affords a panoramic view of the battlefield area. It was, of course, a major 'strategic object of occupation' during The Battle of Gettysburg. [ 656.56127 = Cydonia Face; 27.58106915 = D&M Pyramid; and 9.118906529 = Quetzalcoatl Pyramid at Teotihuacan, in Mexico]. The granite-based Little Round Top is not nearly as steep as Round Top, and not as smoothly oval-shaped, either. It is located about a half-mile to the NNE of Round Top. This is more-or-less a focal-point area of 'Devil's Den', the site of some of the most violent and bloody fighting in The Battle of Gettysburg. It is marked by a grouping of uniquely 'conspicuous' rock formations . . . having an artificial 'feel and aura' about them. Again, the prominent type of rock present is granite. = Cydonia Face Grid Pt. x D&M Pyramid Grid Pt. x Bimini Shark Grid Pt.
. . . we get a figure that acts as a key to 'gematrian-type numbers' (Munck; see related articles on gematria; and on this website) . . . It interacts with Pi and the gematrian number 36, to give the Grid Point Value of the huge and very important Cholula Pyramid, in Mexico . . .
Then, give 0.15 to the number 36 . . .
36 / 0.15 = 240 . . . probably the most important number associated with 'Thoth'. Square Root of 240 = 15.49193338 = Orientation Azimuth, in Degrees from True North, of 'The Avenue of The Dead' at Teotihuacan, in Mexico. Both Zecharia Sitchin and Carl P. Munck have provided rock-solid evidence that Thoth, Quetzalcoatl, Kukulkan, and Hermes . . . are one-and-the-same person. I firmly agree with this conclusion. I think it is clear, by now, that this person . . . this real, flesh-and-blood person . . . was, in fact, the 'master architect and mathematician' written about in various ancient texts. He was one of the sons of EN.KI / E.A. (see Sumerian tablets) . . . who, in turn (see Sitchin), is one-and-the-same actual person as 'Ptah' . . . one of the so-called 'gods' of Egypt. In one of Carl P. Munck's self-published books, called Initiate's Scrolls, he shows how a certain ratio, found at Giza, is another key to the numbers of the ancient lost science of gematria. This number is found by dividing the exact height, in Feet, of The Chephren Pyramid . . . by the precise height, in Feet, of The Mycerinus Pyramid . . .
Now, this number 'resonates' very well, geometrically, with decimal harmonics of the length, in regular inches (not "pyramid inches"), of The King's Chamber within The Great Pyramid (see the work of M.L. Morton in Part Five). I have very recently figured out that length as 412.5296125 regular inches, a decimal harmonic of the Surface Area on a Sphere, if we let the Radian (deg) constant be numerically equal to the 'given radius' of any sphere . . .
Now, give that to the 360 degrees of 'any given circle/sphere' . . . The number 172.8 is a decimal harmonic of 1728 . . . the Cube of 12, and the number of conversion from cubic inches to cubic feet, and vice-versa. The number of Regular Feet length of The King's Chamber is 34.37746771, or exactly 4 times 8.594366927. The number 34.37746771 is also the Grid Point Value of the spring at Warm Mineral Springs, Florida . . . a renowned 'place of healing'. In addition, James Furia has very recently discovered that 34.37746771 cycles per second is a C# Note in his '432 cps A Note' tuning model. Last, but not necessarily least, we need to remember that 34.37746771 is precisely 0.6 Radian (deg) . . . or 3/5ths of the 57.29577951 Radian (deg) constant. So; we now know that The Gettysburg Trinity . . . the multiplied product of the three Gettysburg Battlefield Grid Points . 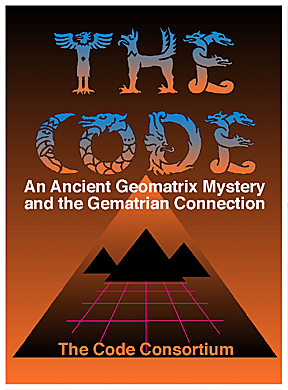 . . is a link between gematria and the geometry of the 360-degree-based circle/sphere. And, it is more than that. The Gettysburg Trinity is not an ideology, or a doctrine, or a religious creed, or anything of that sort. It is a mathematical, geometric 'entity'. It is an actual key to understanding 'wholistic self-referentiality', a true tool, a true measuring stick . . . of self-aware intelligence in-harmony-with its environment. It is a new milepost for us Earth Humans in terms of mass consciousness. It is a true link, here at these three places on this historic battlefield, to a common but until-now lost and suppressed connection to ancestors of ours . . . to ancestors who built gigantic monuments on the planet Mars, at a place we now call Cydonia. About 3 miles east of Gettysburg on the south side of Route 30, otherwise known as Lincoln Highway, sits a conical hill called Granite Hill. Both its name (on the map) and its topo signature got my attention. (outer dimensions) within The King's Chamber in The Great Pyramid (M.L. Morton). = 10 x Square Root of Volume of a Sphere, if we let the Radian (deg) constant be numerically equal to the 'given radius' of any sphere. The work of James Furia shows the half-step chromatic interval, in music, to be very resonant (pun intended) to 'geometry' by way of the numbers of that geometry. Notice what happens when we interact The Gettysburg Trinity with the Grid Point Value of Granite Hill in this particular way . . . This number is very close to the mean chromatic half-step musical interval ratio. If we multiply . . .
Divide 8.111557352 into the Square of the Pi constant . . .
Multiplying those results . . .
Notice that 2.219055999 is a decimal harmonic of 3 times 7.396853329, and 7.396853329 is the master Giza longitude in arc-seconds east of the prime meridian that passes through the center of The Great Pyramid. When we divide 4.924209529 by The Gettysburg Trinity, we get a decimal harmonic of the Radian (deg) itself . . . When we divide 4.924209529 by the multiplied product of the ratios of the Grid Latitudes of the 3 main pyramids at Giza . . .
Also notice that 3.647562614 is the tangent of the precise statute-miles arc-distance from Stonehenge to The Great Pyramid . . . verified by official public record (Munck) as 2234.668731 miles. I would say these four sites are involved in 'geomorphic resonance', in a way that cuts to the heart of Earth Human polarization . . . at this time in our history. I'm referring here to the polarization, as in North vs. South in the American Civil War, that has been such a dominant and repetitive theme in our (so far) remembered history on this planet. Hopefully, archaeocryptography . . . this new field of study pioneered by Carl P. Munck, Sr . . . will help humanity to rapidly become more wholistically self-aware . . . so that we can 're-member' who we are and how we got here. Only then, I think, will we become more civilized as a whole. For more information on this and related material, please go to Part One, Part Two, Part Three, or to the Farshore web site, and click on "Michael Lawrence Morton's Matrix Messages."